"A murderer strikes on board the luxury Nile steamer Karnak-and Hercule Poirot faces his most baffling case." 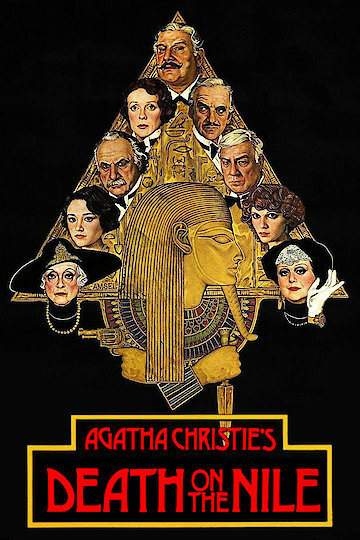 Death on the Nile, a classic film based on the mystery by Agatha Christie has an all star cast, and they all deliver superb performances. While cruising on the Nile river, a murder takes place on a cruise ship. Famous detective Hercule Poirot is on board to catch the devilish killer in this stylish who done it.